Amoorella Jewelry Blog: Personalized bar necklaces are perfect gifts for the mates in your life! 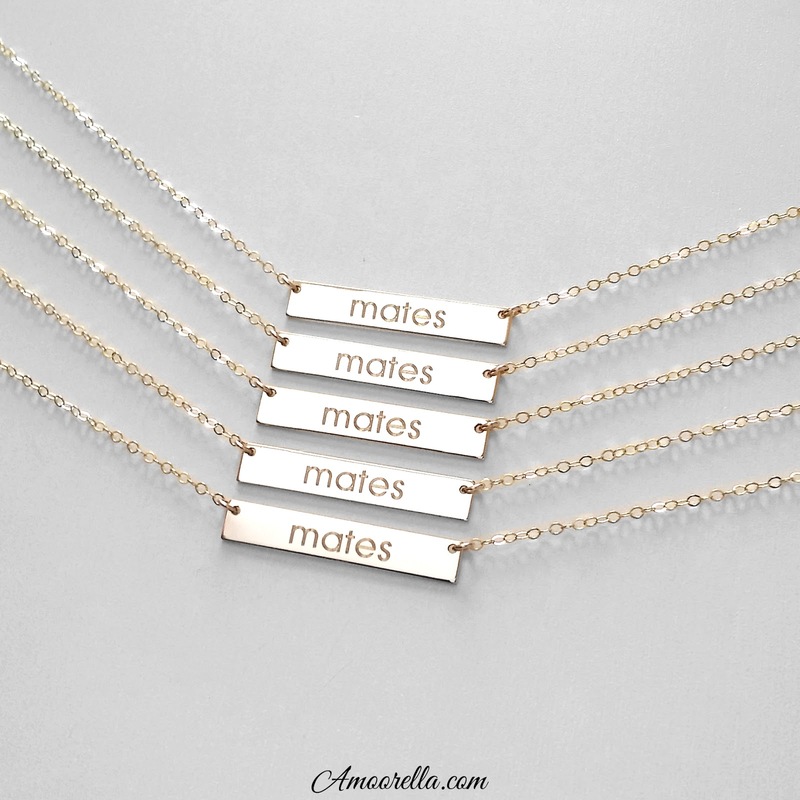 Personalized bar necklaces are perfect gifts for the mates in your life! The perfect gift for all of your mates! A simple engraveable bar necklace available in 14k Gold Filled, 14k Rose Gold Filled or Sterling Silver. Choose from 10 fonts and over 40 symbols!